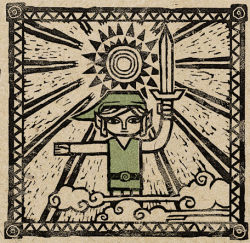 Daily Debate: What Was the Most Fulfilling Plot Moment in a Zelda Game, and Why? Daily Debate: What Was the Most Disappointing Plot Moment in a Zelda Game, and Why? Daily Debate: Should More Zelda Stories be Explored Through Graphic Novels? Warning: The following post contains spoilers for Hyrule Warriors. These spoilers may spoil specific events or story details that some may wish to discover on their own. You have been warned. Daily Debate: What’s Your Favorite Story in Zelda? So today saw the end of a lengthy series of articles critiquing TP’s storyline, and I think it’s time we shifted gears. Enough critiquing; let’s discuss our favorite stories in Zelda. Twilight Princess” or “Ocarina of Time” or “Phantom Hourglass“. There are also character arcs, sidequest-based stories, even little nuggets that you might have to read between the lines in order to catch. So which tale in Zelda is your absolute favorite? Join the Daily Debate inside! Story In The Legend of Zelda: Important or Not?